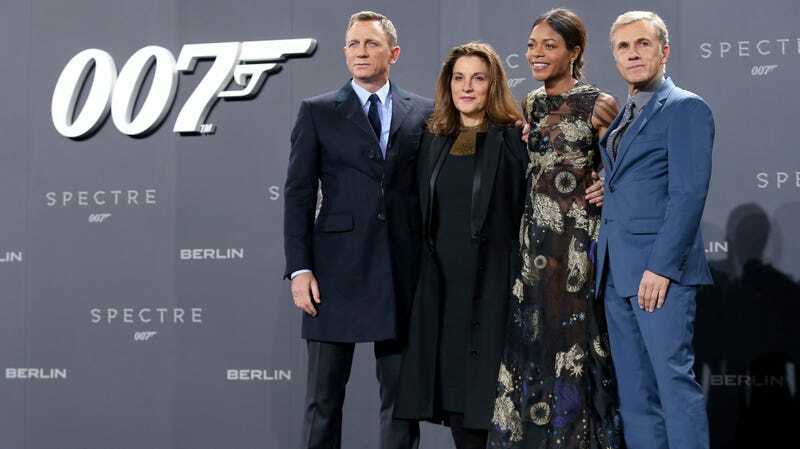 Daniel Craig with producer Barbara Broccoli, as well as actors Naomie Harris and Christoph Waltz at the German premiere of Spectre in 2015. Jodie Whittaker debuted (brilliantly) as Doctor Who this past weekend, helping set a precedent by proving the malleability of characters we’ve come to identify as traditionally male. Hopefully that precedent gets a chance to play out in other franchises, but there’s one for which you shouldn’t hold your breath: James Bond. Executive producer Barbara Broccoli just made a decidedly definitive statement on that front in a recent interview with The Guardian. A new 007 is nevertheless on the way, as it’s been confirmed that the 25th installment, which recently replaced Danny Boyle with True Detective and Maniac director, Cary Fukunaga, will be Daniel Craig’s last. Is Idris Elba still in the running?